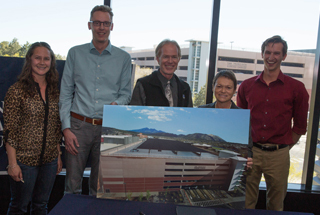 The university has signed a 20-year agreement on a soon-to-be constructed 723-kilowatt solar electric system that will be mounted on a parking garage. A separate 20-year agreement with another agency will provide six cents per kilowatt-hour produced by the system. The student-funded NAU Green Fund will contribute $100,000 a year for the first 10 years to offset the cost of purchasing the generated electricity. 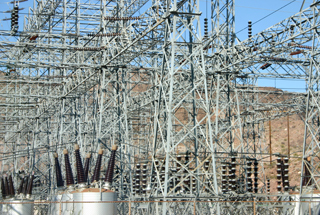 The 1.9-megawatt project will feature over 5,500 grid-connected photovoltaic panels. NRG Energy, Inc., will build and own the project built on land leased from the college over a 27-year agreement period. The college will purchase all the electricity back at a predetermined rate. In an agreement with DC Solar Freedom, the university will receive 39 mobile solar units at no cost to the campus. Funding for this program is provided through a third-party power purchase agreement, allowing the third-party to utilize vacant space on the unit for additional brand recognition. The U.S. Environmental Protection Agency's Green Power Partnership recently compiled a listing of collegiate athletic conferences with the highest combined green power usage in the nation. At nearly 414 million-kilowatt-hours, the Big 10 Conference topped the list with the largest collective total purchase among all conferences and earned EPA recognition as the 2015-16 Collective Conference Champion. The top ranking individual conference champion was identified as The Ohio State University, using nearly 123,254 megawatt-hours of green energy. 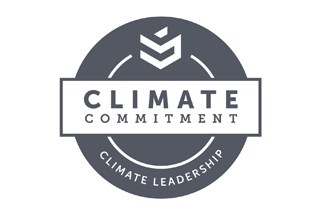 Second Nature recently announced that 84 charter college and university signatories across the U.S. have signed onto its Climate Commitment, which requires higher education institutions to set targets, report on progress publicly and collaborate with their surrounding community, all while integrating sustainability across the curriculum. 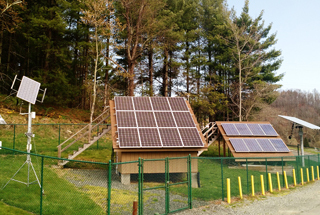 The newly installed solar storage system from JuiceBox Energy is located at the university's Solar Research and Teaching Laboratory and is a 8.6-kilowatt hour lithium-ion battery system based on the company’s years of automotive lithium-ion control systems engineering. The yearlong student competition, which sought to engage students to develop new ideas that would help the university address campus sustainability challenges, ends with three top project submissions out of 11 total. Two projects focus on the university's non-disposable to-go container program, while the project that won top honors seeks to target faculty as agents of change by increasing the number that bike to work. Through the new partnership, Midland Biofuels takes used cooking oil produced by the school and turns it into biofuel that they then sell. A portion of each gallon sold will then be donated to the university program. Midland Biofuels recently presented the university with $1,239 that will be used for sustainability programs on campus. 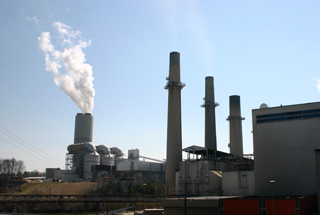 Continuing its transition away from coal as a fuel source, the university was recently permitted by the Iowa Department of Natural Resources to expand its use and testing of locally available, environmentally friendly fuels at the university-owned power plant. Called the Plantwide Applicability Limit (PAL), the permit caps university air-pollutant emissions through 2026 based on historical emission levels. 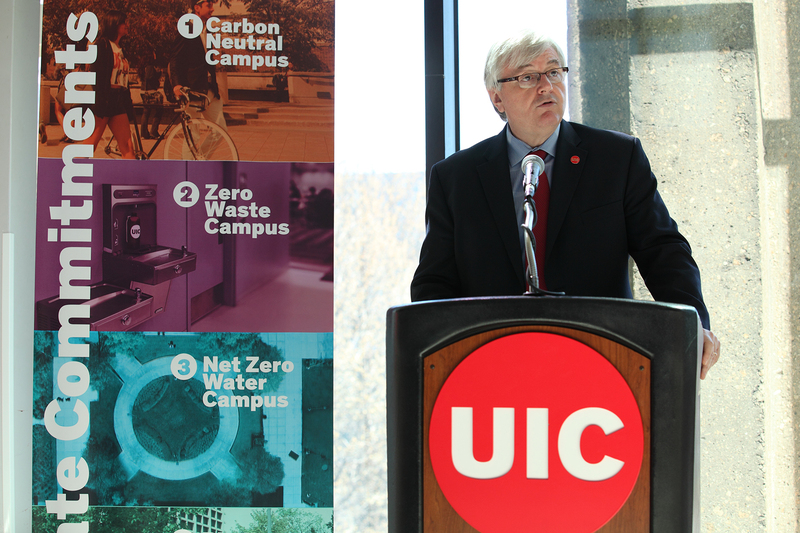 In a campus-wide ceremony, the university's chancellor presented four climate commitment action items that were developed by the university's Committee on Sustainability and Energy. The commitments include reducing carbon emissions yielding to a carbon-neutral campus, reducing, reusing and recycling material leading to a 90 percent waste diversion rate, increasing water efficiency to an amount equal to or less than what falls within the university's boundaries, and creating a resilient campus landscape that supports a biodiverse plant and animal ecosystem. Stanford Energy System Innovations (SESI) was awarded with the Engineering News-Record Editor's Choice & Best Energy/Industrial awards. The SESI system transformed the university's energy supply from a 100 percent fossil-fuel-based combined heat and power plant to grid-sourced electricity and a more efficient electric heat recovery system. The first university in the state to obtain 100 percent of its electricity from renewable sources, the university implemented energy conservation and reduced consumption before purchasing renewable energy credits. The university’s goal is to be carbon neutral by 2050. The 205-kilowatt photovoltaic array, installed through a solar power purchase agreement (PPA), uses bi-facial panels, which are able to use the sun's rays from the top and bottom due to clear glazing on both sides. A student-led movement at the university aimed at pressuring the university to pull its investment money out of coal, oil and natural gas companies has recently announced its participation in the Multi-School Fossil Free Divestment Fund. Until the university makes an official statement pledging to divest itself from fossil fuels, the money in the multi-school fund will remain in escrow. The Multi-School Fossil Free Divestment Fund includes participation from more than 30 schools nationwide. The student-led initiative, known as Solar Pathways Project, is currently exploring possible sites for solar panels to be installed at the university. The effort is sponsored by a $1.1 million grant from the U.S. Department of Energy and part of a multi-university effort organized by the Midwest Renewable Energy Association. A senior design team of five recently installed a 10-panel, 5-kilowatt (kW) pilot floating solar array in the campus' retention pond. The pilot project, assuming success, is expected to increase to a 900kW array at full scale, where the energy generated will add to the campus energy grid to completely offset the Bright House Stadium’s current energy usage. This offset is part of Sustainability Initiatives’ goal to reach 15 percent carbon neutrality by 2020 under the Climate Action Plan. The newly renovated building features natural light that reduces the need for electricity, heating and cooling systems that reduce the building's energy use, and nearly 55 percent of the building’s material and furnishings are regionally manufactured. The university's Idea Lab, an initiative that seeks collective input to shape the trajectory of the university, now includes the Hopkins Eco-Smart Acorn Grants. This new challenge provides an opportunity to identify and submit ideas that advance the university's mission to encourage responsible actions that prioritize people, natural resources and finances to safeguard the health of future generations. The other two challenges of Idea Lab are community and diversity. The university recently debuted a comedic bike safety video with 12 tips for safe cycling. 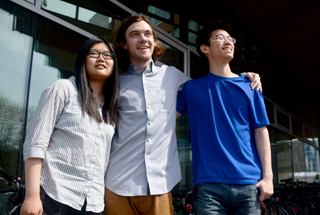 Students and alumni appear in the film, which was co-funded by the Nova Scotia Department of Health. 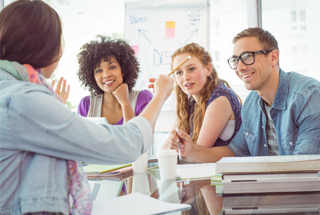 The university recently launched a crowdsourcing contest to identify projects that reduce campus emissions and highlight the potential for scaleable, educational solutions as a living laboratory. The challenge is part of a new series of contests launched by the MIT Climate CoLab, a crowdsourcing platform of over 50,000 members. The series seeks high-impact proposals that tackle major climate change challenges. Capilano University, Erasmus University Rotterdam (Netherlands), Langara College, Royal Roads University, Simon Fraser University, Thompson Rivers University, University of British Columbia and University of the Fraser Valley learned about the importance of saving energy through the annual World Wildlife Fund Canada program that encourages participants to lower thermostats by 2 degrees Celsius. 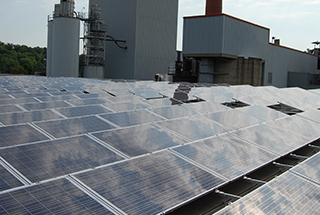 The New York State Energy Research and Development Authority (NYSERDA) and Cornell University, along with Distributed Sun and Building Energy, announced that new rooftop solar arrays have been installed atop two university buildings to help reduce greenhouse gas emissions and build a clean energy future. 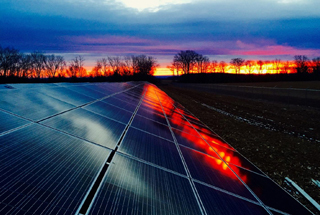 The university received support for these solar projects under New York Governor Cuomo's $1 billion NY-Sun Initiative, administered by NYSERDA, which is designed to advance the scale-up of solar and move New York State closer to having a sustainable, self-sufficient solar industry. 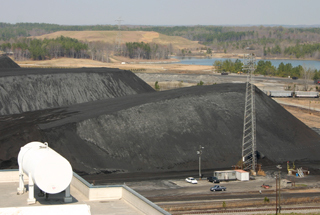 In an effort to decrease greenhouse gases and increase the efficiency of energy use, the university will receive its last coal shipment March 2016. After 160 years of relying on coal for electricity and heat, the university is transitioning to natural gas, in part, to help the university comply with the Environmental Protection Agency's National Enforcement Initiatives. As part of an ongoing energy efficiency overhaul for the campus, the community college will be installing a 36-kilowatt solar energy system that will have the ability to be expanded up to 300-kilowatt capacity. 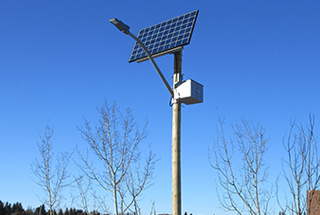 As a solution to lighting a dark area on campus where connecting with grid power isn't feasible, the first solar-powered street lamp at the university was installed on the Augustana campus this past month. At the Institute for Sustainable Energy, Peter Fox-Penner and his team will focus on increasing energy research initiatives throughout the university, deepening connections among science, engineering and management scholars with policy makers and corporations, and advancing the curriculum at the university's schools and colleges. The institute’s three research focus areas are electric industry transformation, global climate change and smart, sustainable cities. Technical assistance grants were recently awarded to the two schools to learn more about the feasibility and economic assessment of installing solar photovoltaics on their campus. In support of the U.S. Department of Energy’s SunShot initiative, the National Renewable Energy Laboratory (NREL) offered no-cost technical assistance to universities seeking to deploy solar energy technology. The schools will receive initial assessment of solar photovoltaic feasibility, including cost-effectiveness of installations, recommended system sizes, estimated capital costs to implement solar and estimated life cycle cost savings. The results will help the campuses plan for future ways to be cost-effective and reduce carbon emissions. 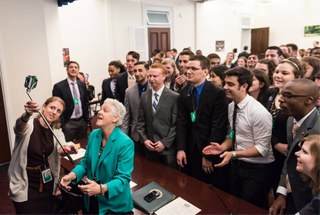 National Campus Leadership Council recently announced the six sites to host a 2016 Climate Leadership Summit as Arizona State University (April 16), Cal Poly Pomona and Claremont McKenna College (April 22-23), Florida International University (April 30), Georgia State University (April 6), and University of Wisconsin-River Falls (April 9). In partnership with Defend Our Future, the regional summits provide a platform to address energy challenges and climate change. Ithaca College and the New York State Energy Research and Development Authority (NYSERDA) have partnered on a 2.9-megawatt photovoltaic project currently underway that is slated to provide approximately 10 percent of the college's electricity needs. The project will be financed through a power purchase agreement, which covers all up-front costs and maintenance, whereby the college buys the clean energy produced from the system owner at a set price over the 25-year term of the agreement through virtual net metering. A set of energy conservation projects on the Urbana campus has estimated $41 million in cost avoidance over the next 20 years and will reduce the campus deferred maintenance backlog by an estimated $25 million. Improvements in five College of Engineering buildings will include the installation of new HVAC equipment, direct digital controls, fume hoods, heat recovery systems, and occupancy sensors. Substantial completion is expected by July 2018. The community college is preparing for the installation of the 2,045-kilowatt system, slated for completion in late April, which will provide shaded parking spots. The array is expected to provide approximately 24 percent of the community college's total energy use. (Ireland): Supplying approximately 12-gigawatt-hours per annum, the new contract delivers electricity generated from wind and biomass to the university, meeting the total yearly demand. The soon to be completed 858-kilowatt array will be comprised of 2,812 ground-mounted photovoltaic modules, which are expected to generate approximately 1.9 million-kilowatt hours of electricity in the first year. 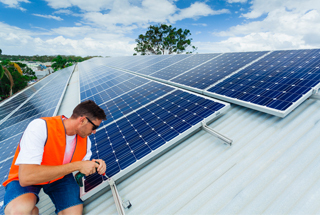 The owned, operated and maintained array by SolarCity will also aid programs at the community college focused on sustainability and clean energy. 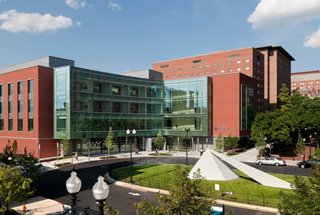 Contracting with Direct Energy, the university recently announced its plans to purchase all of the electricity from a planned 13.6-megawatt photovoltaic plant for its East Baltimore campus. Funded by student sustainability fees, four new SolGreen solar-powered patio tables with built-in charging stations provide the campus community with an outdoor location to work and socialize while charging their devices. The tables come with four power outlets and four USB outlets, shut down automatically during rainstorms, can last five to seven days on stored power during overcast weather and contain LED lights for nighttime use. (U.K.): Under a 20-year purchase agreement, a system uses a heat pump to amplify the natural warmth of waste water and the heat is sold to the college, allowing the school to benefit from reduced cost of energy and carbon emissions. The innovative system provides about 95 percent of the heat needed by one of its campuses. Researchers at the university have teamed up with collaborators at University of Houston, University of Colorado at Boulder, Washington State University, and small battery company Solid Power to develop a battery solution for storing large amounts of energy, such as the energy produced from utility-scale renewable energy wind and solar farms. The university's first utility-scale photovoltaic project, a 5.87-megawatt capacity, is expected to produce approximately 7.86 million-kilowatt-hours of electricity (about 2 percent of the electrical demand of the Urbana campus), and is the largest solar array on any Big Ten university campus. 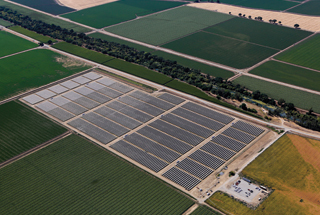 Approved in 2012 by the university's board of trustees, the project was made possible by a 10-year power purchase agreement with Phoenix Solar South Farms, LLC. The university plans to own all renewable energy credits (RECs). As part of the New York Power Authority's first ever Operation and Maintenance Acceleration Program grant competition, 11 State University of New York campuses and SUNY System Administration will share $2.7 million in funding to stimulate and accelerate operations, maintenance and minor rehabilitation projects at state facilities. SUNY's building portfolio represents 40 percent of all state-owned facilities. University professor Jeffrey Suhling has been awarded an Alabama Innovation Fund grant for $400,000 through the Alabama Department of Commerce for research involving efficient building energy systems. 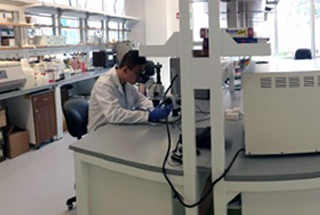 With matching funds from the university, funding will support an experimental laboratory for research in scalable energy conversion systems. Dartmouth College, Stonehill College and Northeastern University were honored by the Northeast Energy Efficiency Partnerships as this year's Northeast Business Leaders for Energy Efficiency. 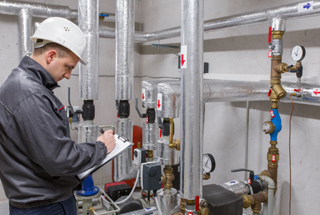 This program highlights the accomplishments of organizations that achieve energy savings through investment in cost-efficient measures and address comprehensive changes in major energy systems, such as HVAC. 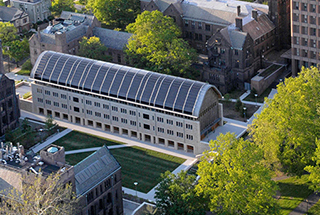 The university recently announced a first-of-its-kind pilot program to put a price tag on the use of carbon, with some of the most prominent campus buildings playing a role in the experiment. Originating as a student proposal, the program seeks to prompt behavior changes at the individual and organizational levels by putting a price, $40 per ton, on carbon dioxide. 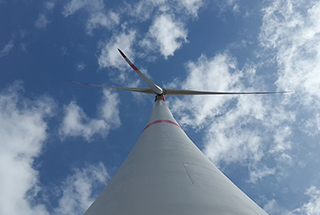 With two turbines completed and one under construction, the university will soon be powered solely from wind energy. The three turbines are expected to generate 16.2-gigawatt hours of electricity annually, about twice what the university currently consumes, and providing approximately $2 million annually. Data from the turbines will be used in engineering classes. The U.S. Environmental Protection Agency's Top 30 College & University list includes the largest green power users of higher education institutions within the Green Power Partnership. The combined clean-power use of these organizations amounts to nearly 2 billion-kilowatt-hours of power annually, which is equivalent to the electricity use of more than 187,000 average American homes annually. President Roderick J. McDavis announced that the university will purchase 50 percent of its electricity from renewable sources beginning December 2015. The university’s Sustainability Plan calls for 20 percent of energy sources to come from renewable energy by the year 2020, although new purchasing guidelines allows the goal to be realized four years earlier than planned. Thanks to a new, summertime initiative that consolidates events and classes into a fewer campus buildings, the university was able to reduce air conditioning levels in unoccupied buildings avoiding nearly $1,000 per day in energy costs. 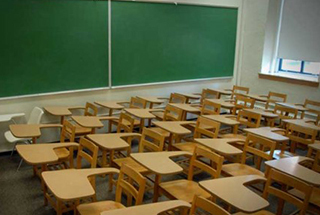 Called the Summer Energy Savings Initiative, 23 classroom buildings were utilized to monitor and control HVAC operations. 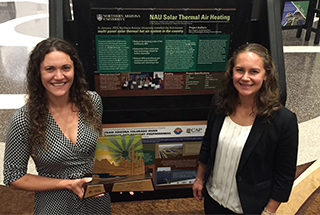 The university was recently honored with Arizona Forward's award for Energy and Technology Innovation on behalf of a multi-panel solar thermal hot air system. The technology reduces fossil fuel use for heating by using air heated by the sun.